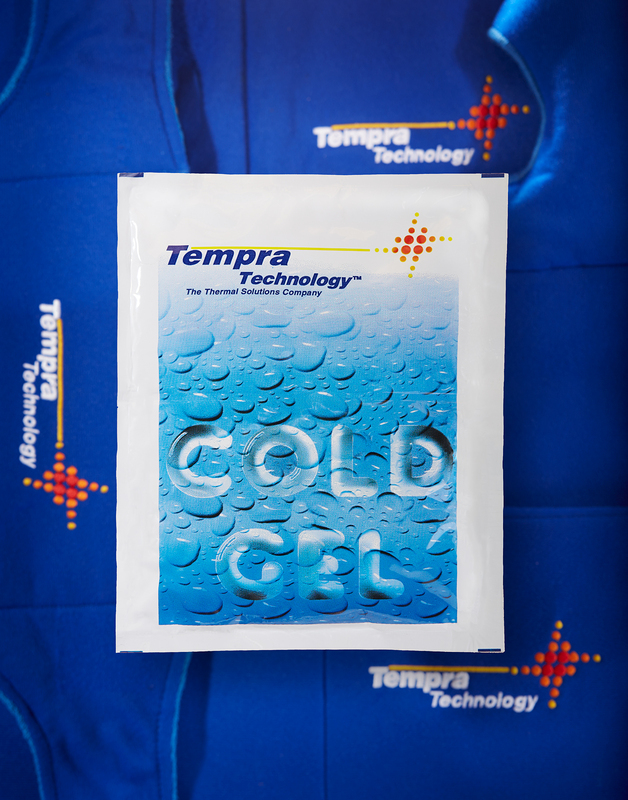 The new Tempra INSTANT and REUSABLE Gelling Cold Therapy Pack will get colder and stay colder longer, and even LOOKS colder than other instant packs. This innovative new concept combines the usefulness, convenience and accessibility of an instant cold pack with the savings, longevity and economy of a reusable cold gel pack into one product. Once activated as an instant cold pack and because of the patented gelling ability, this cold pack now becomes a reusable gel pack by placing the pack in the freezer. This unique gelling ability in both the instant and reusable forms delivers cold evenly to the entire surface area and combined with the TempraSeal™ package, produces a product which performs in a far superior way to any other pack available today. Used with a Tempra Wrap, which is designed to be applied to any part of the anatomy, cold therapy is available any time and any place, more conveniently than ice, providing penetrating cold therapy to enhance patient comfort with no saddlebagging. It also helps to reduce pain and swelling, and promote relaxation of soft tissue.